Funny note: As was about to enter this race, I was considering if I should start in the fast start group or not. This would be my first swim race since I was 13. Even if I didn´t have any expectations to place, I felt optimistic and put myself in the fast start group. 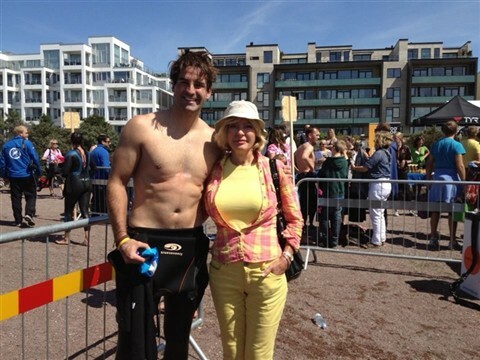 As I was standing at the starting line a few minutes to the start, I could hear the speaker: "... it´s very nice to see that we have so many National Champions and also Open Water European medalists in the field"
After the race with my #1 surporter (mom).